I had a telephone appointment with a counsellor yesterday, and she asked me to explain my life to her. At the end of it, she said ‘I’m a bit stuck here’… Not a terribly reassuring thing to hear a therapist say, especially down the telephone, which clearly isn’t a long term solution. I do now have five sessions face to face with someone else and we’ll see how that goes. One of the things she asked me was what in life I could stop doing. Anything that I could give up, which would give me more time to just ‘be’ instead of being on the perpetual treadmill of ‘doing’. A lot of the causes of stress in my life at the moment are externally driven, things I cannot change. The truth is that I cannot afford to reduce my hours at work, and I clearly cannot hand over my kids to someone else until they start sleeping through the night, so really, the only things I can give up are those things I do for myself. The things I do to keep a bit of me around, the me that isn’t an employee or a mother, but just me. I’m not about to do that, because those are the things that help me retain my sanity, albeit on a very loose thread. I could, however, give up my 35:35 Challenge. I’ve come to realise that I am pretty unlikely to get to complete 35 new things before June, unless there is a flurry of activity soon. It’s hard to find the time in amongst all the other things that need doing every day, or every week. After a bit of thought, what I’ve decided to do, rather than giving it up, is to stop putting pressure on myself to complete it. So what if I only do twenty new things in the year? That’s still a good handful of new experiences, new people, new places. The journey is what counts, not whether I make the numbers ( I have enough budget management to do as it is!). So, a relaxing, then, of the Challenge. Not an abandonment. I do still have things in the pipeline that I will continue to do. Some of them I will be writing about very soon. And there is still my ‘Bucket List’. A more important list of things I really, really want to do before I drop off my perch, which I wrote ages ago and then ignored, like somehow it was going to just happen all by itself. So, there’s the rest of my life to think about that, rather than just the time to my next birthday. But what I need to do now is find some better coping mechanisms. The last thing I want is for my children (who let’s be truthful, are often the cause of my stress, as well as my happiness) to suffer because I am exhausted, anxious, weepy or snappy. I’ve started taking a better, more objective look at myself and what I’m doing every day. My crutches have been occasional drinking, way too much sugar, and getting into bed or slumping in front of the TV instead of to the gym or out in the fresh air. I also need to tidy the house, as the sheer amount of things we have in it sometimes feels as though the walls are closing in. In her wonderful book and website “The Happiness Project“, Gretchen Rubin understands that outer calm creates inner happiness, and I agree with her, so I need to tackle the clutter! I don’t think it’s a generalisation too far to say that working mums (or dads) put themselves at the bottom of a long list of people, but once you burn out, then you are not helping yourself or them. So, time for a bit of self-help, alongside the counselling. Better nutrition, that will give me more, longer sustained energy; getting some exercise; a massage. Taking some time for me, to find a bit of calm and peace on that treadmill. If there are any stress management things you do, that you think would help me out, do let me know. I know I’m not the only one out there who juggles a lot in life, so it would be brilliant to hear how you manage it! sorry you are having a difficult time, strangley many ofmy friends and colleagues and myself are also experiencing similar situations. I think the key is exactly what you have decided, removethe pressures you can do, there is enough stuff we have to do without giving ourselves extra targets. But keep finding the time to do the things that are for you and bring you pleasure, we don’t often give ourselves permission to be selfish and we need to stop feeling guilty if things aren’t always perfect – and who defines perfection anyway? I would just say be careful with Chrsitmas coming up be clear about what you can and will do – it doesn’t have to look like a film set or the cover of Good housekeeping, cheat wherever possible – for one year or so no one will notice if the mincepiess aren’t homemade. Hello – you’re very wise, and I’ll be taking your advice, especially about Christmas! There is no way that my house will look anything like a magazine image – not that it ever does – and I’ll have to be content with that. I am trying to build some time into every day for myself in the hope that by doing so, I’ll be a happier person to be around. I agree with Julie. 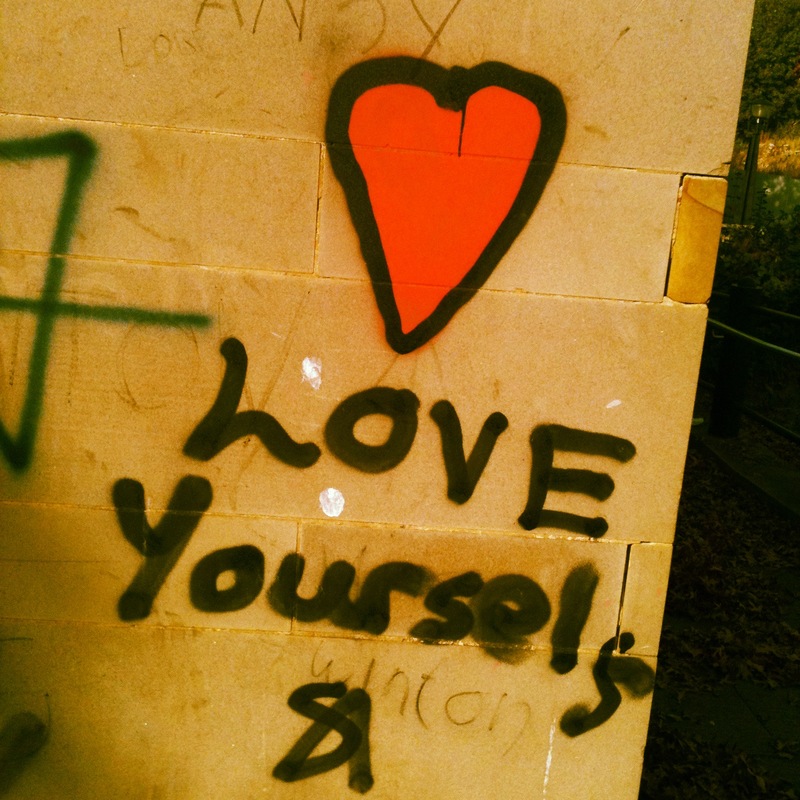 Look after /yourself/ first – things don’t have to be ‘perfect’ (whatever that means). ‘I’m a bit stuck here…’ is /not/ what you want to hear from a counsellor. I hope you have better luck with your face-to-face sessions. In relation to your Challenge, maybe try to note down any random new things you do…even if they’re not on your ‘official’ list, I reckon they count (it’s your Challenge, you can make and change the rules 😉 ) – and who knows, maybe there will be enough spare by the end of your year to make up the numbers – that’s what I plan to do, in case some of the more ambitious/expensive ones don’t come to pass! De-cluttering is a good way of helping with the stress – it both gives you more space to ‘be’ in and the act of de-cluttering itself is therapeutic I think… Doing something physical to sort out the problem somehow tidies away the problems along with the clutter! I find that when the house has reached critical mess, I can’t do anything without feeling stressed until I’ve tidied up. However, sometimes the tidying has to take second (third/fourth) place to something more important, like having a break from it all. When it all gets too much for me, I go to Tynemouth Beach & scream at the sea… but whatever works for you – meditate, put on some of your favourite music & just listen to it, or go to your favourite place, with a book & without the kids, sit under a tree & read, if that’s your thing. Hello, I’ve just read this through, and I think you’re right – I can make my challenge what I want! I’m de-cluttering and putting things on Ebay, therefore killing two birds with one stone. I am also going to try and find the time/space/money for massage, gym sessions and quiet reading. Thank you for your advice, you’re definitely right.